I’m thrilled to announce that my debut novel, The Haunting of Cabin Green: A Modern Gothic Horror Novel, has been featured on two notable Best Horror Books of 2018 lists! I was also honored to learn that The Haunting of Cabin Green was the Top Vote-Getter in the Horror/Suspense category of The Kindle Book Review’s 2018 Reader’s Choice Awards (and a Runner-Up for Best Overall Book of 2018). 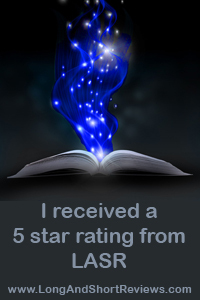 Thank you to everyone who voted for my book! What’s The Haunting of Cabin Green? Read On to Find Out! Aside from two Best Horror Books of 2018 nods, The Haunting of Cabin Green has attracted great reviews from those who know and love Gothic, upmarket literary horror. 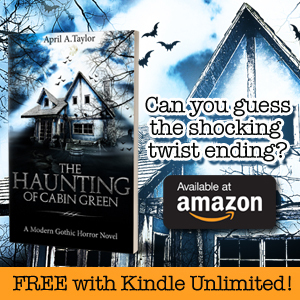 “Grief is the driving force in The Haunting of Cabin Green. Taylor weaves a haunting tale of a man who can’t be sure if the desolate cabin he’s staying in is full of ghosts or if his mind is playing tricks on him.” – Popsugar, The 13 Most Chilling Horror Books of 2018. I’m very grateful to everyone who has supported this book, whether that’s by buying it, reading it, voting for it, reviewing it, or naming it one of the Best Horror Books of 2018! Special thanks to journalists Sabienna Bowman and Holly Chavez for finding my work and sharing it with others. Next postGothic Horror Kindle Sale: 99 Cents!